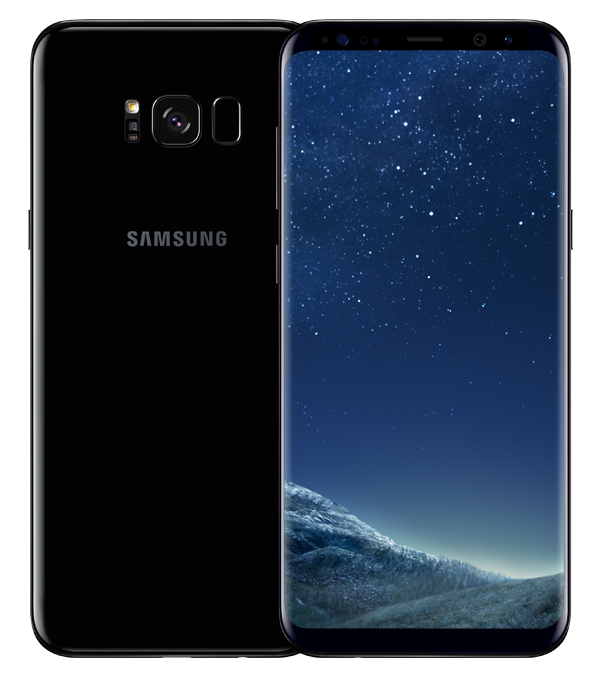 Despite shipping nearly 10 percent more smartphones this year, Samsung revenue dropped QoQ because of a more balanced sales distribution between its entry, mainstream, and flagship offerings. 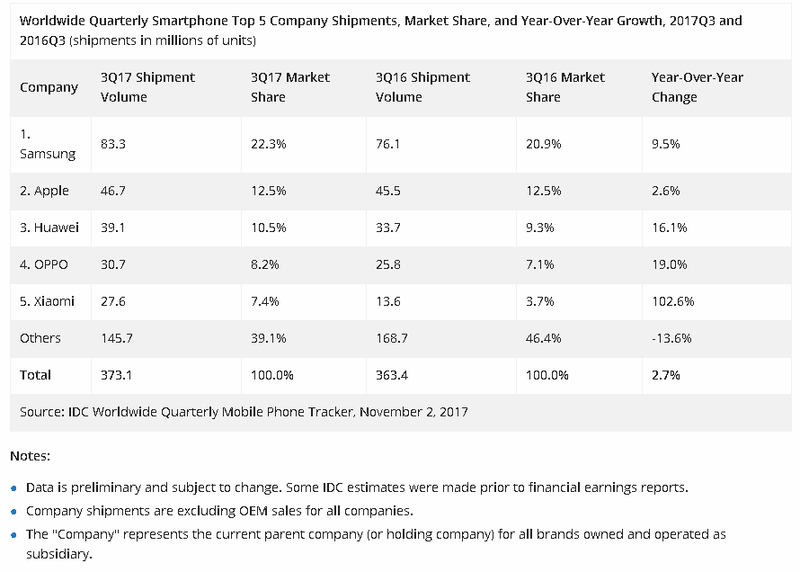 Market research firm IDC has just made public its latest quarterly tracking figures for the worldwide smartphone market and the results are as expected. 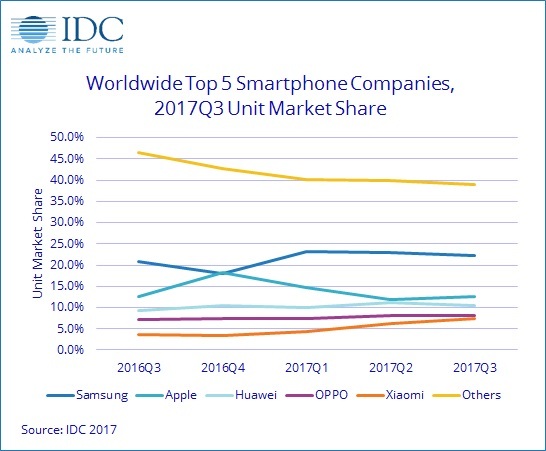 As shown by the table below, Samsung, Apple, and Huawei continue to be the top three biggest manufacturers with a collective control of 45.3 percent of all smartphones shipped in Q3 2017. Interestingly, all of the top five manufacturers are now shipping more smartphones compared to a year earlier at the expense of smaller smartphone makers like LG, Motorola, and others. Samsung in particular managed to ship 9.5 percent more smartphones YoY likely due to a smoother launch of both the Galaxy S8 and Note 8 compared to the disastrous Note 7. Huawei has grown even faster by 16.1 percent YoY because of healthy sales of its Mate 9, P10, and Honor smartphones. Xiaomi is sitting comfortably in fifth place with shipments more than doubling YoY. IDC credits the jaw-dropping growth to the company's recent expansion in the Indian market. The data lines up very well with the recent survey results from Counterpoint Research that also showed Xiaomi smartphones dominating in the region. In all, there were 373.1 million smartphones shipped just this past quarter representing a YoY growth of 2.7 percent. IDC is sticking to its existing predictions for a smaller 1 percent YoY growth heading into Q4 2017 due to the supply constraints on many flagship models.